I have always been fascinated by the Co Meath placename Staholmog, I know it probably means ‘the house of Holmog’ but it sounds like a name given to a snowbound Swedish settlement. Anyway, before I upset all the Staholmogians, I’ll stick to my topic, the sale of 85ac of land in three lots on the outskirts of the village. Located 3km from Carlanstown and 7km from Kells on the N52 Ardee road, it comes to auction with a guide price of €10,000/ac. The first lot is a 71ac parcel with frontage on to the main N52 and a side road. A second lot of 7ac has access to the public road and a further lot of 7ac is located away from the main farm; this is all in tillage with good road frontage. The property will be auctioned at the Navan salesrooms of Raymond Potterton at 3pm next Tuesday (July 17). I don’t know if coal was ever mined in Slane but in a townsland called Coal Pits in the parish, a 21ac parcel of ground with farm buildings is coming to auction with a guide of €8,000/ac. 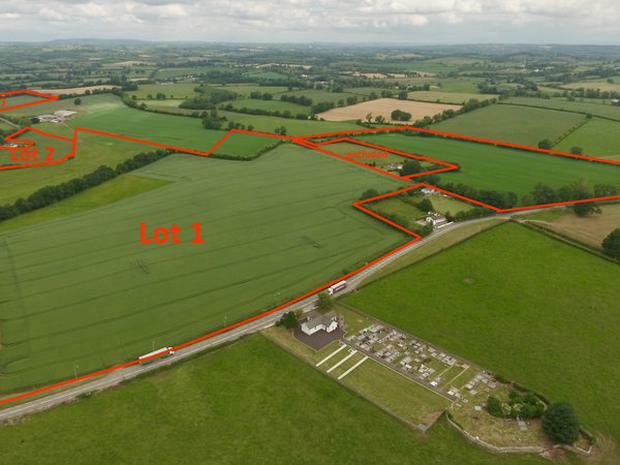 The property is in three divisions of permanent pasture, the agents say it would make a lovely hobby farm, and will be sold at auction next Tuesday, July 17 at 3pm in the Navan salesrooms of Raymond Potterton auctioneers.